Founded in 2003 on the initiative of the Schoenstatt Young Men in Lisbon. At present missions are taking place in 30 universities. They last for a week. 40 missionaries are involved. 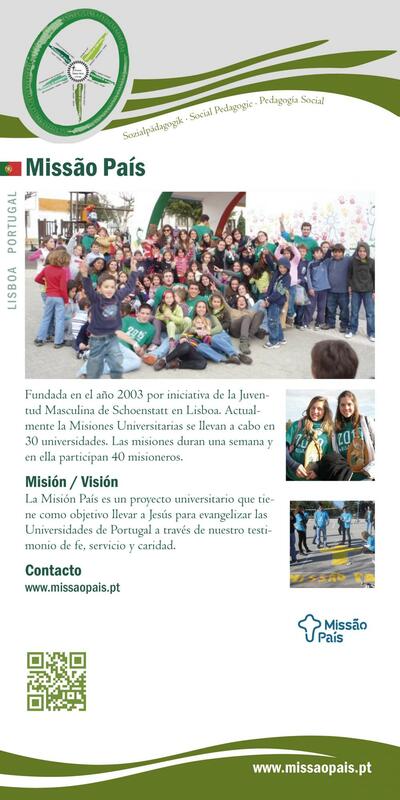 „Missionary Country“ is a university project that has accepted the goal of bearing Jesus into the universities in Portugal, and evangelising the students by the witness of their lives, their service and their love. It began in a group of young Schoenstatters who were working at a university.